APPEAL: Call 101 if you have information regarding the theft. 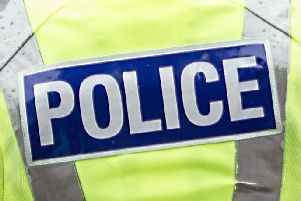 An investigation has been launched after copper cabling worth £6,500 was stolen from Merryton Tower in Motherwell. The theft took place sometime between 4.30pm last Wednesday (November 11) and 8am the next day. A spokesperson for North Lanarkshire Council said: “A contractor is currently upgrading cabling in the area for Scottish Power, and during this replacement it was removed from floors within the tower.